Costa Rica is considered to be a biodiversity hotspot but little is known of its cyanobacterial flora and only a few studies dealing with aeroterrestrial algae have been published from this region so far. Our work focuses on the diversity of terrestrial cyanobacteria from Costa Rican cloud forest and compares our findings to knowledge from surrounding regions. In March 2010 samples of macroscopic cyanobacterial mats were collected from rocks, soils and a bromeliad leaf pool near the town of San Gerardo de Rivas, Costa Rica. The composition of the mats was investigated using light microscopy of fresh samples and acquired cultures. Among the 52 morphotypes revealed, heterocytous cyanobacteria with colored sheaths dominated, even though the most common species was Aphanocapsa cf. muscicola. The majority of morphotypes were determined to species level, and the rest was classified only to genus. 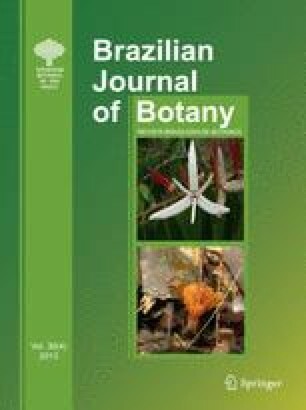 Interestingly, nearly half of the species are considered to be cosmopolitan according to current knowledge and only four of the species present in our samples were known previously from Costa Rica (Stigonema minutum, Scytonema ocellatum, Sc. javanicum, and Sc. hofmannii). These results emphasize the need for phycological research in this understudied tropical area. We believe that our study will help not only to uncover further biodiversity in Costa Rican cloud forest but also to understand the distribution of cyanobacterial species among different biogeographical and climatic regions. The research was supported by Grant MŠMT/AMVIS LH12100. The authors would like to thank to anonymous reviewers for valuable comments to the manuscript, and to Markéta Bohunická and Jan Mareš for help with samples collection.